You’ve finished Elite: Dangerous‘ tutorial, learned how to fly the average spaceship, and dropped into the cockpit of your very own loaner Sidewinder. It may not look like much – it is the smallest class of ship – and you don’t have much in your pockets to improve it – a mere 1000 credits – but you’re free. Free to explore whatever role you want. This complete lack of direction, and the wide array of potential roles to fill in Elite: Dangerous, can result in some choice paralysis. Thankfully, there’s are a few roles that you can definitively settle into, learn, and master. 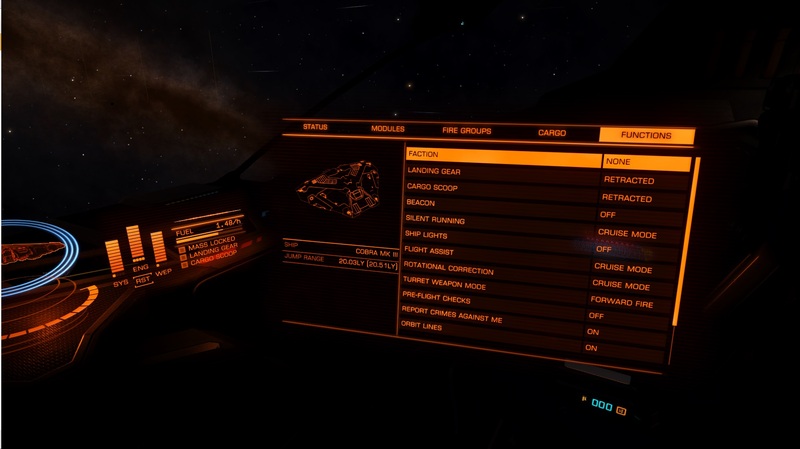 Just remember that nothing is set in stone in Elite: Dangerous; if you want to do something, just do it! The soldier profession, while extremely dangerous, is a fine way to grind both reputation and money in the early game. It also teaches you the principles of fighting groups of enemies, including ships that are much larger and more dangerous than you are, which is important if you intend to become a pirate or further your bounty hunting career past small-time pilots. To get started with being a soldier, head to a conflict zone. These zones only appear in systems that are currently at war, so you might have to search your local cluster of systems to find one (which can take hours). Once you’ve entered the system and flown to a zone, shift your focus to the Functions (4 on your keyboard, by default) and select which side you’d like to represent. Now pick a side, but be ready: all ships of that faction will become friendly, but all other ships will become hostile. If you aren’t careful, you can quickly be overwhelmed by the sheer number of combatants coming for you, and losing a ship is a semi-permanent deal in Elite; you can get another via insurance, but if you run out of money, you’re stuck with the loaner Sidewinder again. The clear upgrades for a soldier are, of course, combat vessels. The Eagle, Viper, and Vulture are fine choices, as is the Cobra. Your end-game ship is the Anaconda, a behemoth of a ship that can annihilate just about whatever pisses it off. Most soldiers transition into becoming bounty hunters once they understand the combat and have some money to spend on a combat ship. 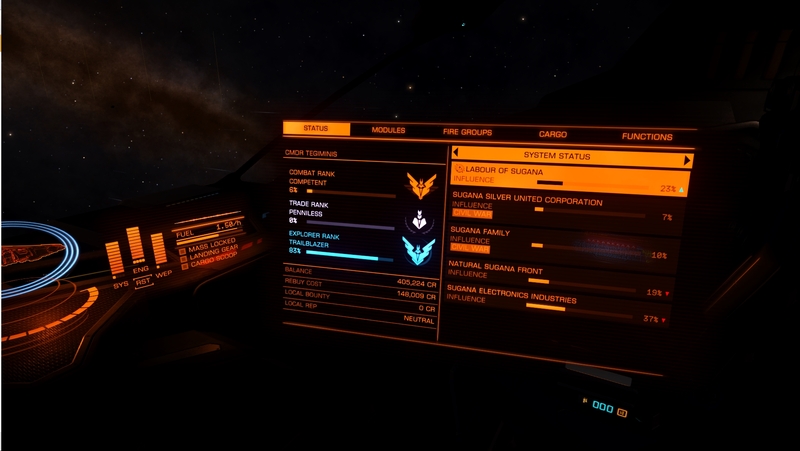 Arguably the most profitable profession you can claim in Elite: Dangerous, bounty hunting is very similar to being a soldier. The main difference is that instead of going to conflict zones and picking a side, you’ll be going to Resource Extraction Sites (such as the one in the screenshot above) and scanning people for bounties. As bounty hunting is dangerous work amidst fields of asteroids and debris, you should have something better than the loaner Sidewinder. Even if you simply increase the Sidewinder internals to Rank A, and add beam lasers, that should be enough – at least for basic bounty hunting. You should also grab a kill warrant scanner; it’ll let you grab bounties beyond just the system you’re in, including bounties for the superfactions (Empire, Federation, Alliance). It’s roughly a 15% increase in income, and if you are destroying heavier ships (Dropships, Anacondas, and Pythons are the usual suspects), you can earn a nice extra 20-30k per kill. 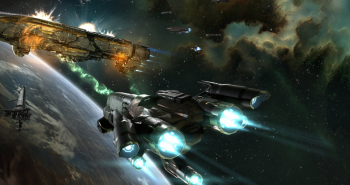 The upgrade path for a bounty hunter is identical to the soldier: multirole and combat ships, ending with the Anaconda. Many hunters stop around the Python, however, as the heaviest ships are so slow that chasing down bounties becomes far more difficult. Want to make a lot of money in a short amount of time? Trading isn’t for you. However, if you enjoy optimizing routes, aiding local economies, and establishing a business empire, trading is the most lucrative and consistent method of earning income. While you can putter around in your cheap hauler grabbing regular goods like food and metal, rare commodities are where the real money is at. 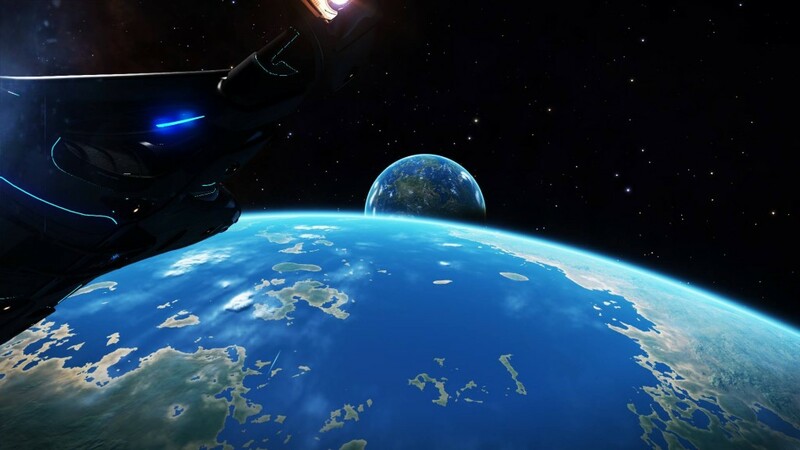 These commodities are found in only one station in the entire galaxy, and are understandably mega-profitable if you discover an effective route. Players have already found one such loop, dubbing it the “Silk Road” after the historic trade route between Asia and Europe. In a decked-out hauler, this trade route can bring you millions per hour; however, you must also contend with many pirates (both human and NPC). Once you master escaping interdiction, though, you’ll be set to make a living plying the trade routes of the stars. If it isn’t abundantly clear already, traders thrive on cargo space; the more racks, the better. Thus, your upgrade path is all about getting bigger and heavier ships to haul all that precious cargo. Miners are the slower, duller brother of the trader. Instead of making their money trading between stations, they fly out to a belt, deploy their drones, and sit back to enjoy a cup of tea. Mining, like trading, is all about the biggest and best items. For a miner, that means a pristine metallic asteroid belt. These belts provide rare metals for the forges and factories of the various factions and sell for a significant amount of cash. If you don’t know where one of these belts is, players are kind enough to chart some for budding miners to try their hand at the honest work of shooting rocks for dosh. These spots tend to attract pirates, though, much like the highly-profitable Silk Road trading route. 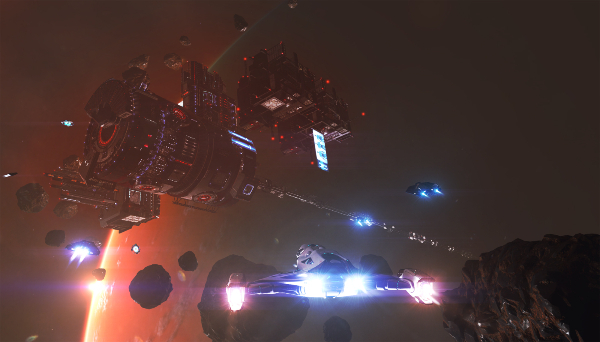 Mining follows the same upgrade path as the trader, with one exception: guns. 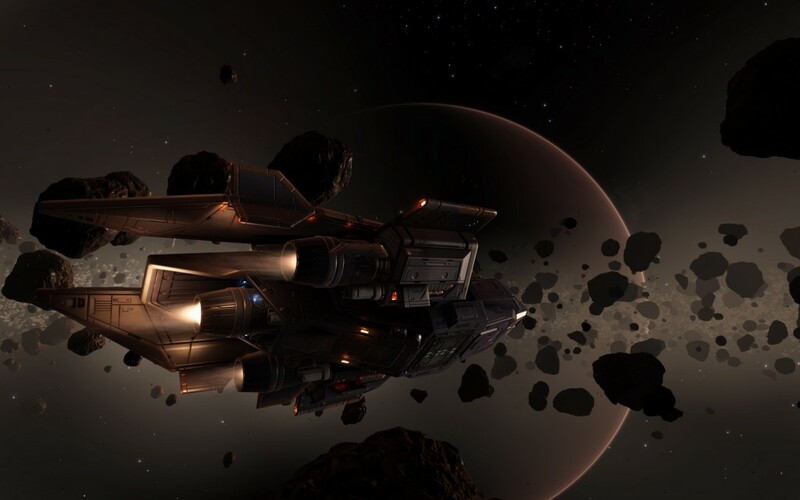 Miners can fit more guns and utility systems than traders, as they don’t need as much cargo space. Kitted right, miners are far more dangerous than your average trader and can perform their mining duty in relative peace. Pirates are an unloved profession, a dirty, no-good collection of scoundrels and thugs that bully traders and miners into giving up their hard-fought (or bought!) merchandise. They are also the most difficult profession and offer a thrill that no other profession in Elite can. The goal of the pirate is, naturally, to track down NPCs and players, interdict them, and murder them. As such, pirates need a combat vessel equipped with a frame shift interdictor (which pulls people out of frame shift drive, Elite’s version of warp speed) and a cargo scanner to see if their target is carrying anything good. 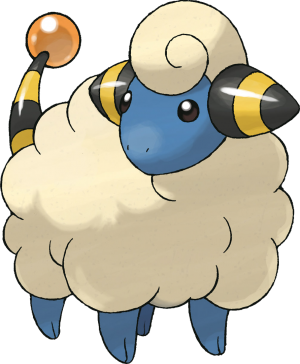 Once they do, though, they can bounce around a system, ripping apart (or ransoming) poor souls unlucky enough to cross their path. The upgrade path for the pirate is identical to the bounty hunter. Indeed, many pirates are bounty hunters in different systems; once the heat gets too strong, they take a break picking off bullies on their home turf instead of ransacking transports. Combat gear, cargo scanners, interdictors, and limpet drones are a must. If the pirate is the bounty hunter’s evil twin, the smuggler is the trader’s. Smuggling may not pay appropriately for the vastly increased risk that comes with transferring illicit and stolen goods, but making that run into a space station under the nose of the local police is incredibly satisfying. Smugglers operate much like traders, with two important restrictions: they can’t be scanned before entering a station and they have to sell their goods at a station with a black market. The most common cargo among smugglers isn’t usually contraband, but rather salvage; anything taken from a derelict or destroyed vessel, regardless of how aggressive the original owner was, counts as stolen. Smugglers often make their way as the scavengers of space, as most players don’t want to get caught with stolen goods and anybody can scoop the canister. Smugglers follow an interesting upgrade path, in that they need to be big, but they also need to defend themselves and have a relatively low profile for station runs. Any mid-class ship (like the Cobra) or one of the smaller haulers is usually the clear path for a Smuggler. Do you want to chart the stars alone? 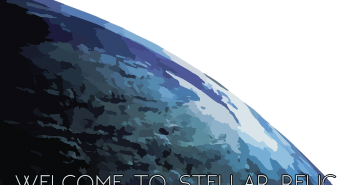 Fly around space with your tricked-out ship, jumping vast distances and attaching your name to various planets and stars? Do you want to be paid terribly for your effort? Be an explorer! 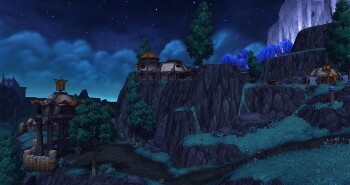 Exploration is the very definition of tedium. Explorers take a vessel with a large jump range, strip everything out, attach some exploration-specific gear such as a surface scanner, and fly out to a random spot of their choosing. Most of the systems visited along the way – and, indeed, at the destination – will be mostly valueless, containing nothing more than hunks of ice and rock orbiting a quiet star. Every once in a while, though, it all pays off; a spectacular trinary star system here, a cluster of black holes there, and you’ve made the trip worth it for yourself. Just don’t expect to hit the mark every time. Explorers have only one upgrade path: get a Cobra, then an Asp. The Asp has the furthest jump range of any vessel in Elite: Dangerous, a lovely wide-view cockpit, and enough slots for most exploration components. Unfortunately, exploration is not a beginner profession. Explorers need to have some seed money to buy A-rank gear, the Asp is prohibitively expensive, and low-level exploration doesn’t pay nearly enough. Pick another profession here and come back to exploration later; you’ve got the time. Don’t wanna stick to any one profession? Then don’t! You can do just about anything, from hauling to bounty hunting to exploration. All this means is that you haven’t decided on a career path that makes sense to you. 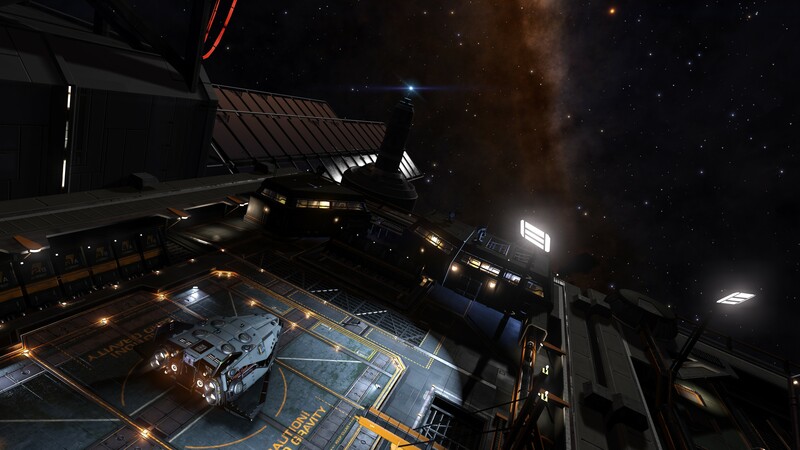 Don’t feel too guilty; there’s a lot to do in Elite:Dangerous and you should dabble in everything, as you never know what you may want to do in a week. Grinding out bounties in asteroid belts is only thrilling for so long, after all. These are just the major roles in Elite: Dangerous. You can specialize, generalize, or go any which way you please. 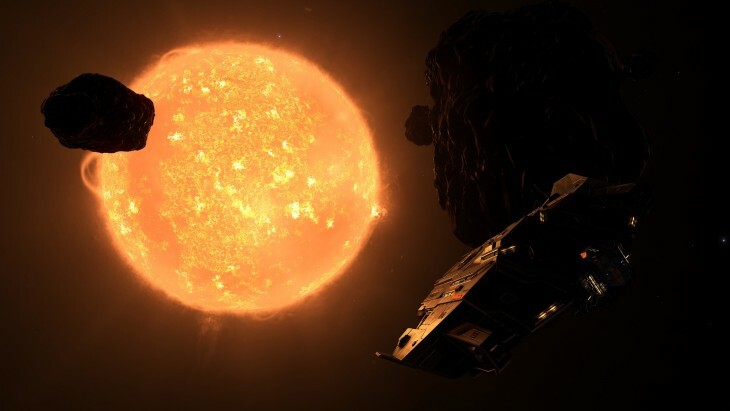 The only rule in Elite: Dangerous is the same rule of life: do your best and don’t die. Everything else is just where you happen to fall. 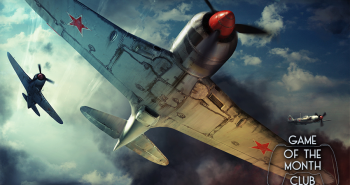 This game was totally worth backing just to land and take off. Never get's old.